Whether battling little black ants and pavement ants or seeking to prevent carpenter ant damage, ant control in the house is often attempted as a do-it-yourself project. This approach may work for small infestations but left untreated, ants can pretty much take over your home. They can extract a high cost both monetarily and emotionally. Effective ant control often requires the knowledge of the target ant’s activities, habits and habitats. Many ant species come and go in predictable cycles, and homeowner efforts to fend them off can often be ineffective, time consuming and in many cases make the problem worse. In fact, used at the wrong time and in the wrong situations, ant traps can attract the very ants they’re designed to prevent, in the worst cases encouraging nesting inside the home. Household ant problems often start outdoors where landscaping, cracks, and gaps attract these pests and then provide entry inside. InspectorUSA safeguards your home through a short-term 90-day treatment program that is designed to manage ant colonies inside and outside your home. It provides an intensive initial service using a combination of surface treatments, baits and pest proofing to bring your ant problem under control and then provides additional services as needed throughout the term of the contract at NO additional charge. You can even choose to upgrade your service to any of our residential pest control plans without paying another initial service fee. Carpenter ants can cause extensive damage to your home, which makes quick action essential upon detection. In most cases found in moist or decaying wood, carpenter ants cut galleries into wood to create passageways and nesting sites, and they can ultimately damage the look and stability of your homes wooden components if left untreated. Carpenter ants can be up to an inch long at their largest, so at the first sighting it’s wise to take action. To help you combat potentially expensive repairs, InspectorUSA provides guaranteed carpenter ant control as part of our Problem Solver Services Programs. 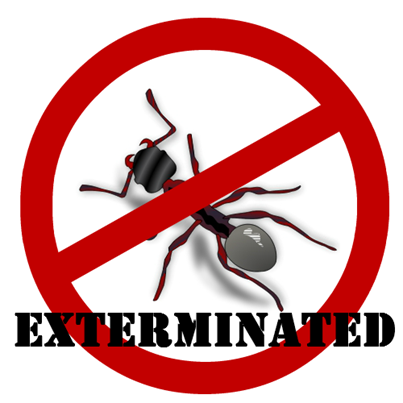 Call us today, InspectorUSA’s Problem Solver Service Plan takes the stress out of ant control.